Purchased a new book I’ve been meeting to get for a while now. Ordered through www.fishpond.com.au (cheaper/faster/better than Amazon). 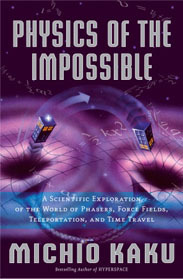 Purchase inspired via an interview with the author Michio Kaku on an old episode of Hanselminutes.